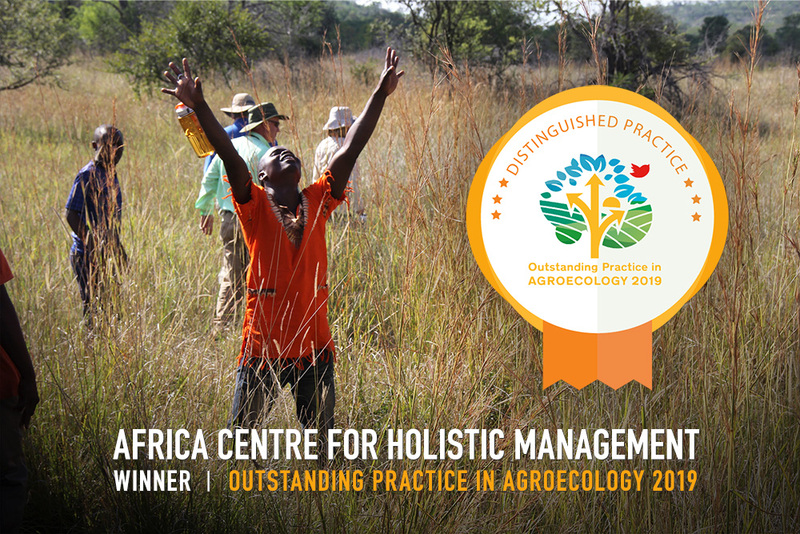 The World Future Council has announced Africa Centre for Holistic Management as a winner for Outstanding Practice in Agroecology 2019. The recognition highlights outstanding practices advancing the transition towards agroecology from the global South. Out of 77 nominations from 44 countries, an international panel of experts selected 15 winners for empowering small-scale food producers, nurturing sustainable food production, maintaining ecosystems and building capacity for adaptation to climate change. Africa Centre for Holistic Management works directly with local farmers in Zimbabwe and disseminates holistic management planned grazing. This has multiple proven benefits for soil regeneration and for farmers’ revenues. The Centre has trained 100 facilitators so far and reached 15,000 communal farmers in 16 Zimbabwean communities. “Innovation happens when people who are facing challenges dare to think outside the box. The practices distinguished as Outstanding Practice in Agroecology 2019 show in an impressive way how holistic and innovative approaches can turn agriculture into a key element to fight not only food scarcity but also poverty, climate change and loss of biodiversity,” say Valerie von Koerber and Samuel Wagner, directors of the start-up Technology for Agroecology in the Global South (TAGS). ACHM is proud to be recognized for this award by The World Future Council (WFC) who works to pass on a healthy planet and fair societies to our children and grandchildren. WFC’s mission is to identify and spread effective, future-just policy solutions and promote their implementation worldwide.